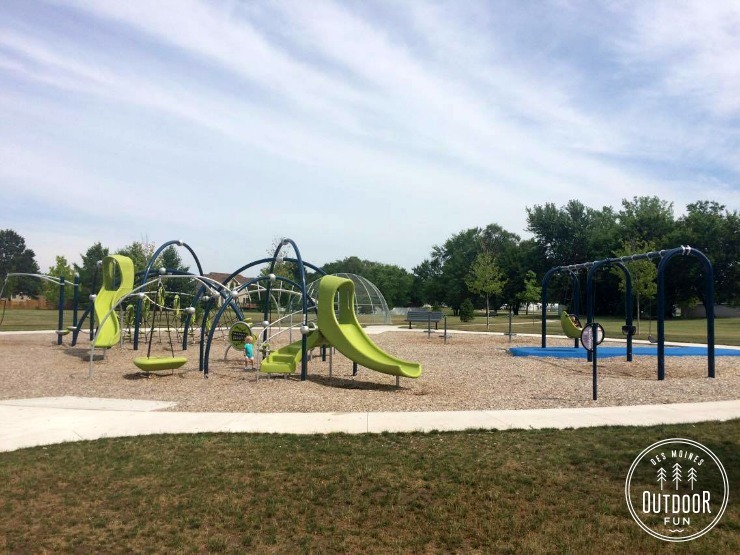 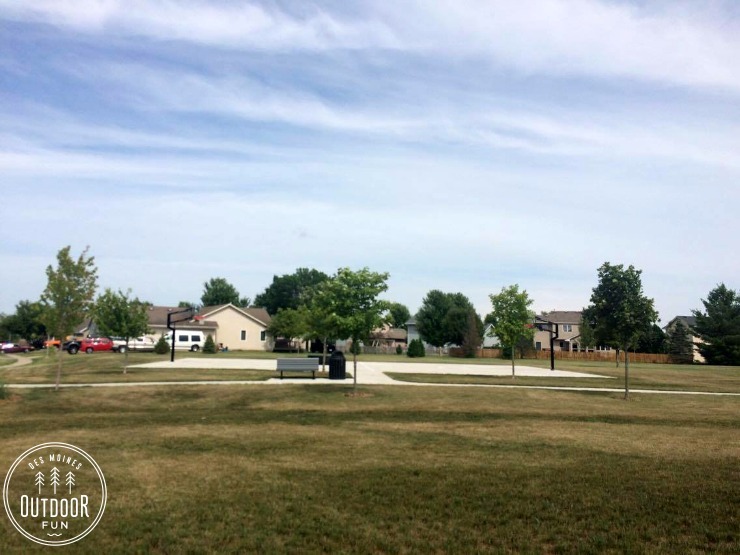 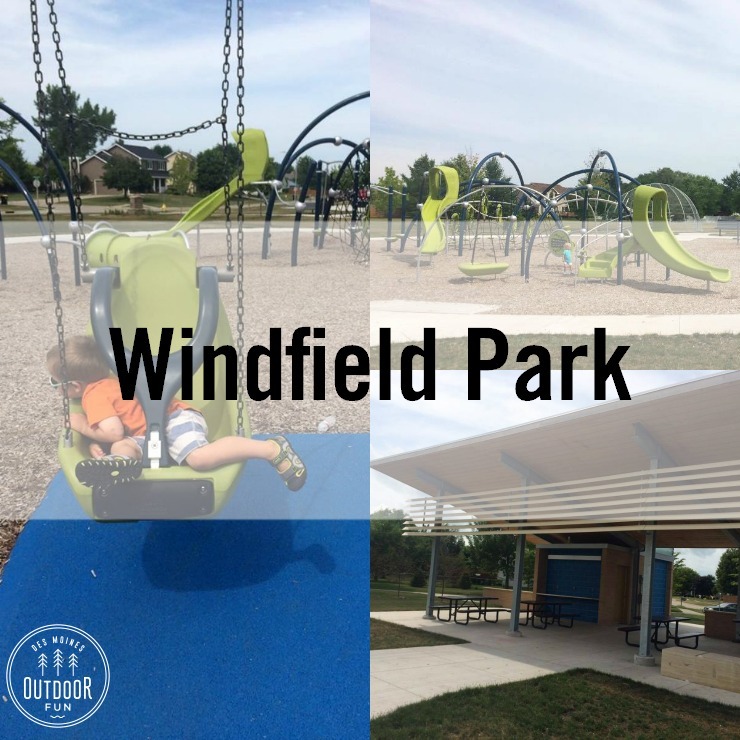 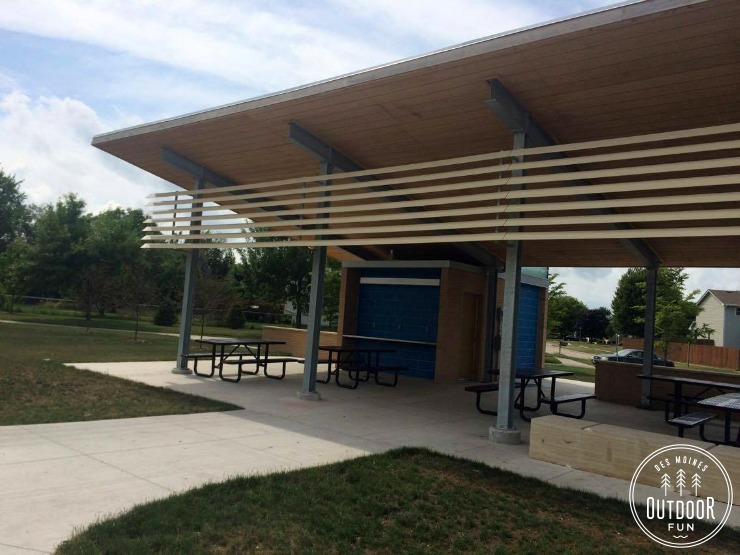 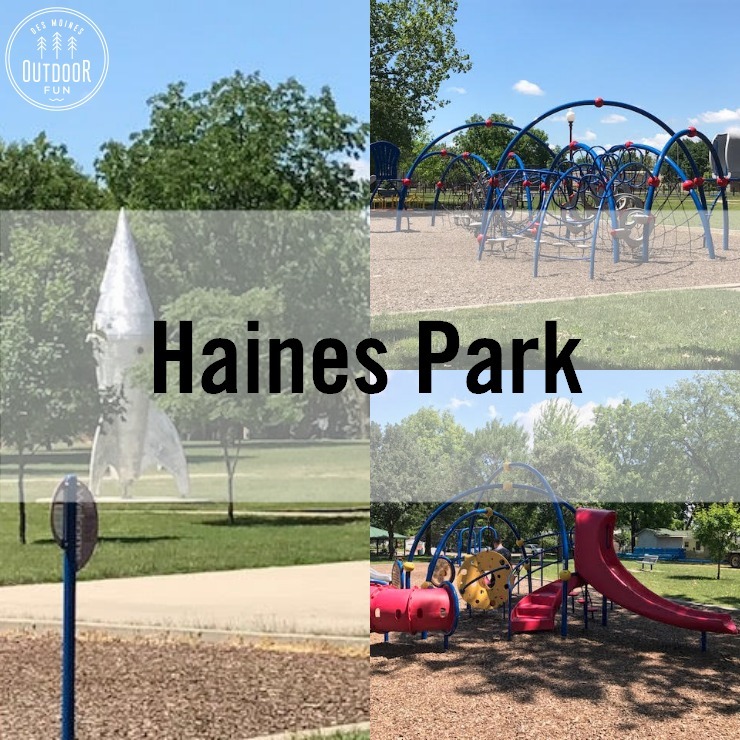 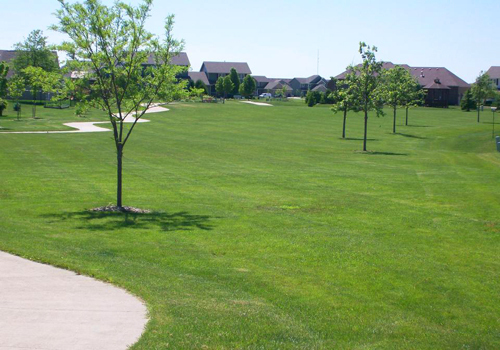 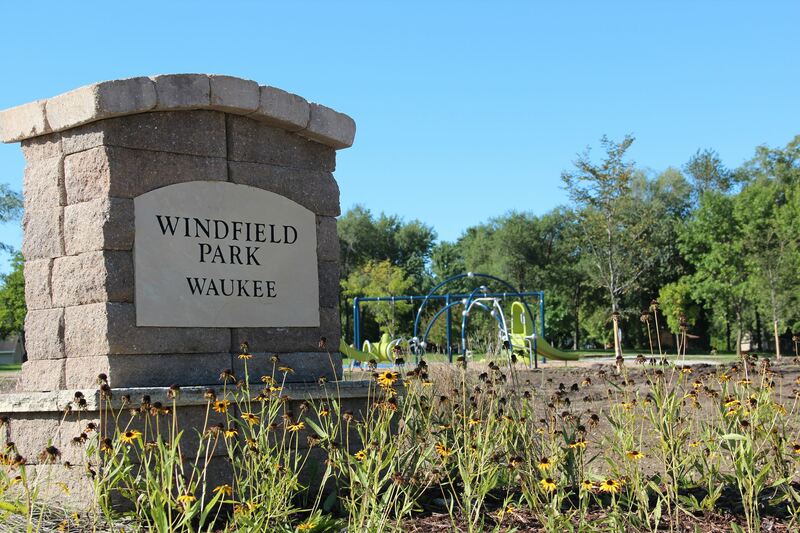 Windfield Park is tucked in a neighborhood, right across from a busy shopping center. 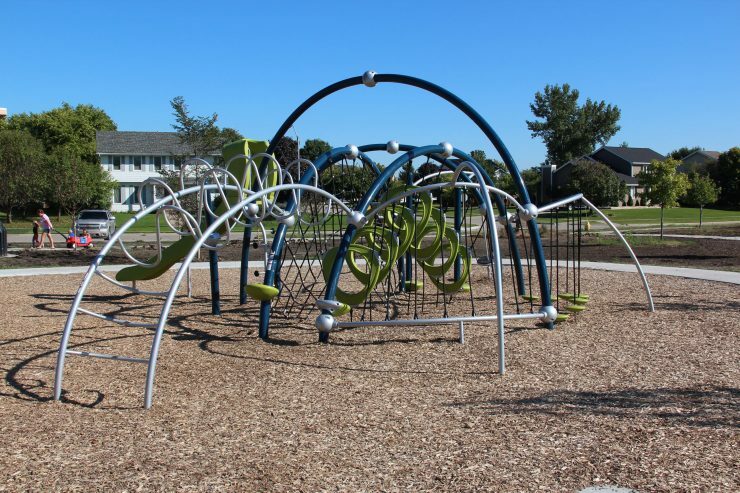 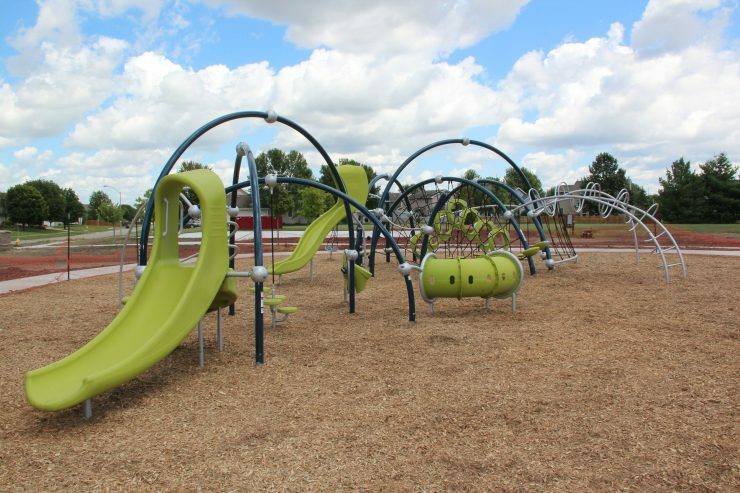 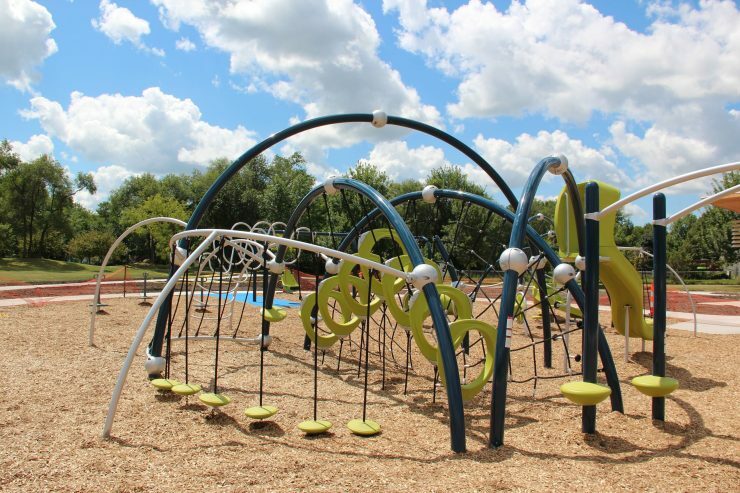 The bright green playground equipment has some fun and unique features, like a small climbing tunnel and musical elements. 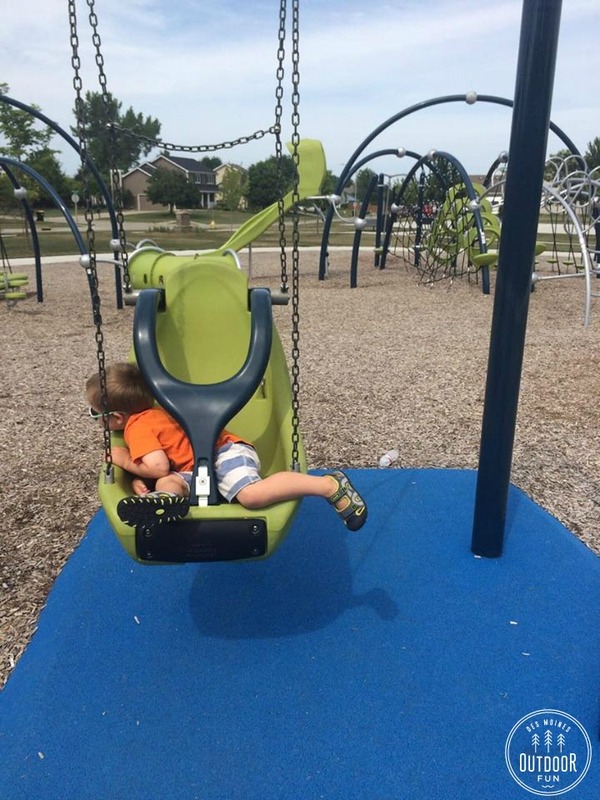 The adaptive swing has a rubberized footing pad beneath it, and there are baby swings as well.